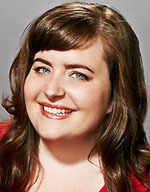 North Central Phoenix native Aidy Bryant, who will be starting her third year on “Saturday Night Live” (SNL) this fall, has been nominated for an Emmy Award. Bryant is part of a team of writers nominated in the category of Outstanding Original Music and Lyrics, for the song “Home for the Holiday (Twin Bed)”, which aired as part of a music video sketch on the Dec. 21, 2013 episode of SNL. Jimmy Fallon was the host and also appears in the music video. Bryant collaborated with three other writers on the lyrics. The Emmy Award winners will be announced beginning at 5 p.m. Monday, Aug. 25 on the NBC television network (Channel 12 locally). Bryant is the daughter of local real estate agent Tom Bryant with HomeSmart Elite Group and Georganne Bryant, owner of Frances boutique. 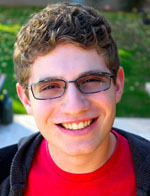 Matthew Kaplan, age 16, of North Central Phoenix, was named a regional winner in the Kohl’s Cares Scholarship Program. Winners are chosen based on initiative, leadership, generosity and project benefits and outcome. After witnessing his brother being bullied at school, Matthew created The Be Open to New Experiences (O.N.E.) Project, a nonprofit dedicated to developing curriculum and facilitating an interactive day seminar aimed at creating a positive and inclusive school environment. The Be O.N.E. Project uses team-building activities to connect high school students to each other through the sharing of personal insecurities and past bullying experiences. “We commend these bright volunteers for being inspiring examples for others as they have made a difference in their own communities and touched the lives of others through their efforts,” said Bevin Bailis, Kohl’s senior vice president, Communications and Public Relations. Fifty-three youth from Arizona each received a $50 gift card and recognition certificate from Kohl’s for making a positive impact in their communities through volunteerism. As one of 182 regional winners, Matthew also received a $1,000 scholarship and a chance at a $10,000 national scholarship. National winners were scheduled to be announced at the end of July. Since the program began in 2001, Kohl’s has recognized more than 22,000 kids, including the 2014 winners, with more than $4.3 million in scholarships and prizes. For more information on the Kohl’s Cares Scholarship Program, visit www.kohlskids.com. Two local students—Andrew Halden Anderson and Morrison Adam Turnansky—made the spring 2014 Dean’s List at the College of William & Mary, a public research university located in Williamsburg, Va.
William & Mary is the second-oldest institution of higher learning in the United States. For more information, visit www.wm.edu.